When designing the layout and type of vegetation you want in your yard, don’t forget to plan for the maintenance that you will need to keep your plants looking beautiful after they are grown. Whether you opt for a tropical landscape with flowers you can cut to beautify your indoors — or keep in your outdoor environment — your landscaping decisions will determine the type and amount of maintenance you will need. This, in turn, will factor into the cost of your service and whether it is once a week or once a month. Maintenance can be costly, but you can plan for how much you will want to spend and do by yourself. Groundcover is another major consideration. If you choose grass, some types grow slowly and need certain fertilizers to help them along, while faster growing grass can require cutting as often as once or twice a week. Weed mats can keep weeds to a minimum, as can black cinder, which works well to prevent weeds in hot areas. You can use pre-emergent herbicides that prevent weeds from coming up, or if you prefer organic, you can spray salt water on weeds to shock them without killing them. Another groundcover option is riverbed rocks, which are beautiful, artful and still allow for vegetation. LanaiScapes will help you design your landscape with functionality in mind and let you know how much maintenance you can expect, whether it is through a service or your own efforts. The company’s staff members are experts in creating a maintenance plan that will include such details as the types and amount of fertilizer you will need, and a schedule for how often to use them. 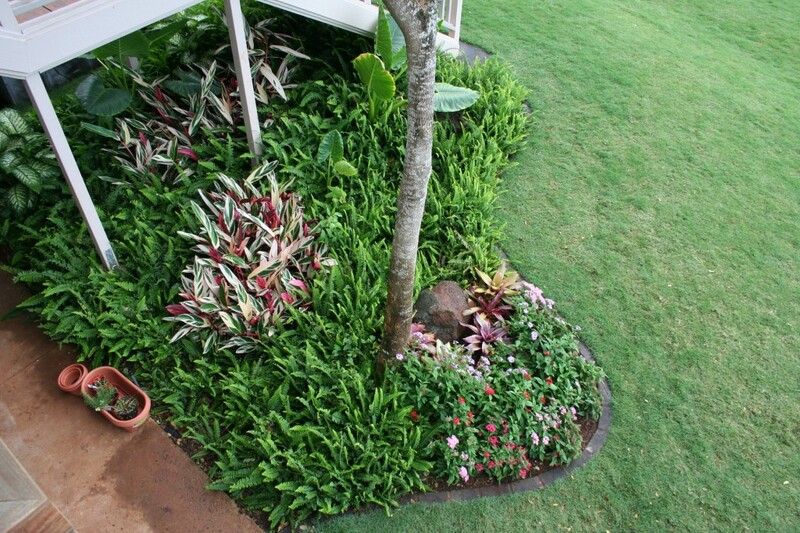 Landscape maintenance need not be daunting when you plan ahead.